Original design and in-house screen-printing. Thermoflex (iron-on) design and print. Original design and vinyl decal installation. Original full digital design and installation. 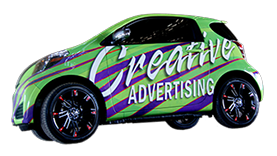 Original design and full wrap installation. Original design and decal installation. Custom logo design for branding.